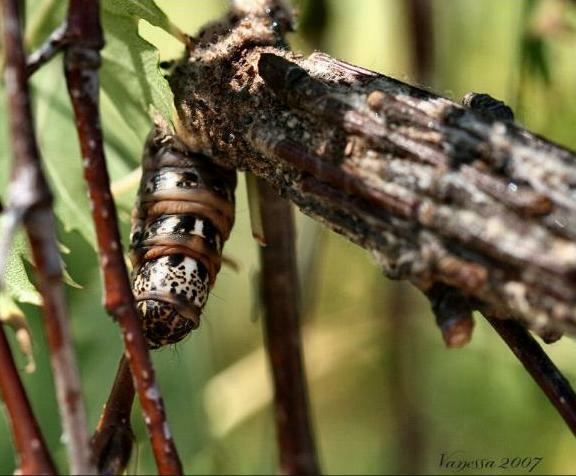 These Caterpillars live and pupate in a silken case. to which they attach twigs parallel to the axis of the case. 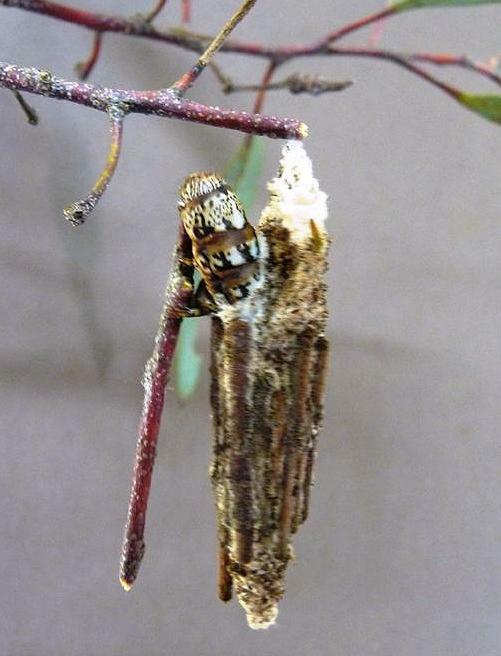 Ian Common notes that the larval case of this species has all the attached twigs of uniform length, except for one or sometimes two or three twigs which are cut longer than the others. However John O. Westwood illustrates the case of Clania lewinii as having this feature. The caterpillars normally only protrude the head and thorax out of the case, as these are covered in a hard skin that is coloured in a light and dark brown pattern. 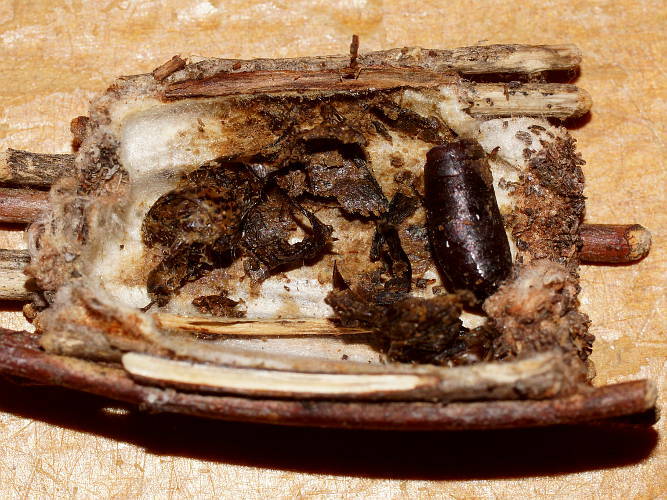 The soft abdomen is kept inside the protective case. Silver Birch ( Betula pendula, BETULACEAE ). The case can grow to a length of up to 5 cms. 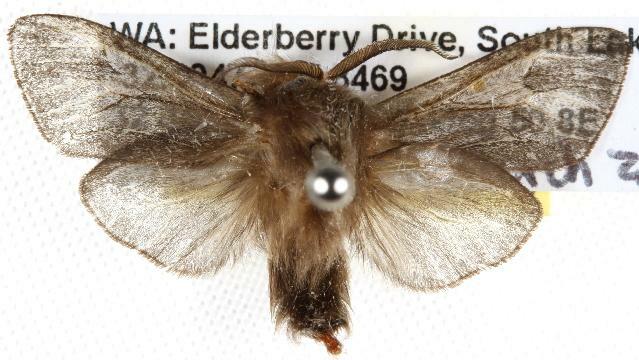 The adult male has translucent grey wings which easily lose their scales. 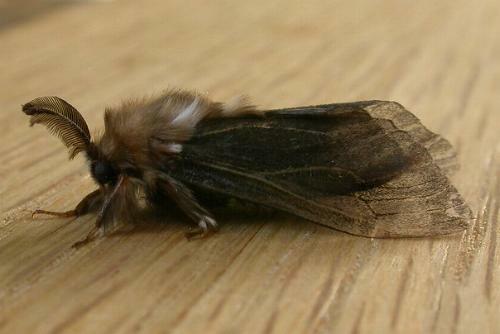 The male moth has a long prehensile abdomen, and a wingspan of about 3 cms. The female is wingless. 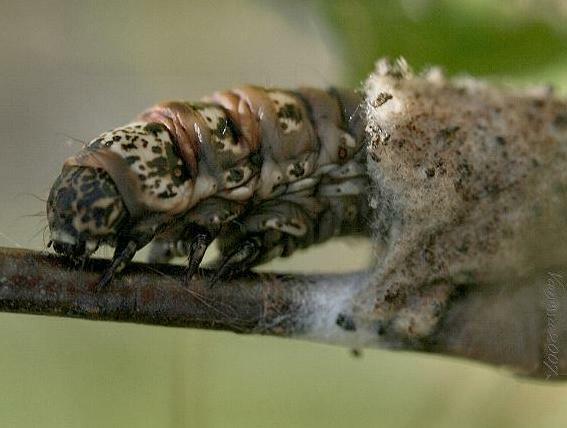 The species is attacked by a parasitic fly that lays eggs on the foodplant of the caterpillar which are ingested and hatch inside the caterpillar. Melbourne University Press, 1990, fig. 19.7, p. 179. LeapFrogOz, Kuranda, 2015, p. 184. E.W. Janson, London (1869), p. 67, No. 7.